The only thing bothering me about it is the display- it's 800 by 480. If you like the rest of the phone, get it. I have a phone with an 800x484 display and an iPod Touch with Retina. Both screens are crystal clear, you won't have any problems with the phone you want. Although, 720p sounds awesome for a phone lol. 720p sounds awesome for a phone lol. Nice new tablets now have screens with 1080p resolution and beyond. Even 13 inch laptops have 1080p displays. Most sites are made for screens with a horizontal resolution of 1024x768. Having a phone with a greater horizontal resolution means it's easier to browse full websites without things seeming jagged or cramped. Also, the 8x loads webpages much faster. n3xt, we have a thread here for saying whatever, including holiday greetings and random well-wishes, there's no need to create a whole new thread for it. And i thought that it was impossible to make Carl Sagan more classy. Go to antza2.deviantart.com for cool photos! 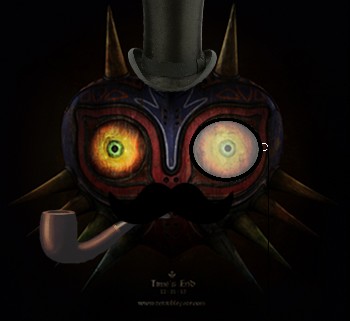 If this mustache/monicle/pipe/top hat thing becomes the new SE logo I'm switching back to Celestia. This is because you are not a classically distinguished gentleman who appreciates the finer things in life. Oh, how droll this all is. Like oppressing women, promoting nationalism, and harvesting slaves in Africa, right? We didn't get to the moon with 19th/early 20th century tech, did we? ...I'm assuming that's the time period we're talking about.